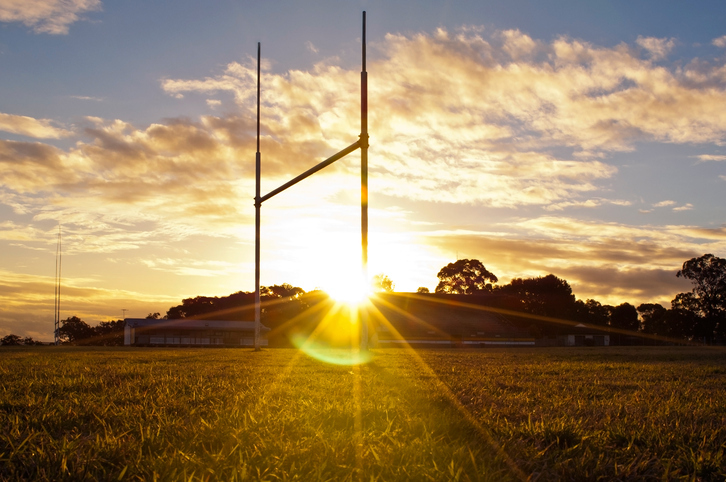 The cocaine curse has surfaced publicly in Canberra with news that a local man has been charged for allegedly supplying the drug to two visiting New Zealand rugby league players last weekend. This is not to say it wasn’t here already but now we have prominent sportsmen drawn in like many of their colleagues elsewhere. What is it about sport that attracts men – and it’s usually men because you don’t hear about too many sportswomen being caught up – to gamble with their health and their futures by breaking the law? Is it the risk, a wildness that encourages young men to take a chance? Is it that they are out of their depth with all the adulation and therefore believe they are removed from the disciplines of normal society? Are they overpaid, so again they believe they can do as they like, buying their way out of trouble? Or are they simply dumb, essentially meaty machines permitted to legally display thuggery on a sporting field and otherwise kept out of the public eye by managers and club administrators? To this heady mixture of fame, fortune and fighting is often added the unsettling experience of being in a different culture and a strange land. Compared to Pacific islands where tribal rules and family ties are strict, the freedom and independence here is not easily absorbed and neither is the wine or the women. Narcotics are not the only problem for impressionable young men. Alcohol has led to numerous very public local incidents from drink-driving to domestic violence charges. This publicity is not good for the individual concerned or the sport. While it is claimed with good reason that other well-known people in other walks of life are similar offenders, the result is not the same. These sportsmen are icons. They are admired by the public, idolised by the young and their bad behaviour probably has a worse effect upon worshipful children than any TV gambling advertisements. For the codes and the clubs concerned the problem players are a nightmare. They usually represent an expensive investment and years of training. Poor behaviour off the field, especially of the anti-social type, is bad for the image of the club and the code and a strong response is required. But how strong? Banning the player for several games might work, but if the behaviour persists with no obvious damage to on-field performance the public might think their hero is being victimised. An outright ban unless the offender is jailed or hopelessly addicted again won’t work because the sports loving public, probably in greater numbers than other community sectors, believes in a “fair go”. So the dilemma particularly facing the codes is what to do about misbehaving star players. This is seemingly only a problem for off-field behaviour because the actions of the judiciary to breaches on-field appear to be adequate. Perhaps the administrators have to impose a total ban – such as three strikes and you’re out – in the long term interests of the sport and cut their financial losses. Any other ideas? Ah, legalise it and let them take non-performance enhancing drugs all they like? Wait, are you suggesting coke is not performance-enhancing? Yes I am, in fact it has been shown in a lot of areas to reduce athletic performance. In what ways do you think it is performance enhancing for a Rugby League player? Particularly when taken a week before further competition at 5am in the morning. Well this is a particularly elitist and paternalistic treatment of the subject. So what? Is there something wrong with Greg approaching the subject from the angle he has? Yes. He implies the curse has “surfaced” in Canberra, suggesting it wasn’t there (or somehow below the surface) before. And then links it to professional sports, which frankly doesn’t have the income or the numbers to support the levels of consumption that drive the importation and distribution industry. What really gets me is rugby league’s love affair with the “great redemption” story. Time and time again players are done for multiple drink driving offences, drugs, walked out on their club, charged with assault – and even gone to prison – but they are universally welcomed back into the game when they are “reformed”. Life does not work like this for us normal people. Not only Rugby League – there are examples of this syndrome in most professional sports. Maybe. But we’re mainly talking league here and it tends to throw up more than its fair share of examples. Just look at the Raiders. I’m no fan of the sport – but even I can name the list of recently sacked players – Dugan, Ferguson, Carney, Earl and now Papalli teetering on the edge. The Raiders seem to be the only club with the appetite to sack repeat offenders – and it’s definitely been their loss (and other teams’ gain) in terms of losing good players. High performing individuals in most areas of life are given far more leeway with their behaviour because they deliver results where it counts to their companies. Well this is a particularly elitist and paternalistic treatment of the subject. Yes, there are plenty of professions that dabble in Columbian marching powder. Most of them have white collars. Like the former CEO of the Cronulla Sharks? Perhaps governments, their agencies and universities can decide to stop all sponsorship to professional sporting teams. It’s our money they are using to pursue that lifestyle. The funny thing is if they were up the road at Mooseheads getting “legally” off their faces drunk on alcohol, you would never have heard anything. Ask RiotACT: Company that replaces laminated kitchen surfaces?